If you have six months to hike the entire 3,100-mile CDT, go for it. If you only have a week, choose this 100-mile section. The path hugs the Continental Divide for all but six of its miles, providing a matchless stroll through Colorado’s largest designated wilderness. Start at the 11,700-foot trailhead at Wolf Creek Pass and hike north. You’ll stay between 11,500 and 12,500 feet until the last day (lightning alert! ), and, despite the elevation, it’s a moderate journey with few big climbs or descents—until the 3,000-foot plunge at the end. Life-list camping abounds: Be sure to stay at Twin Lakes and the alpine ponds beyond Squaw Pass. In late July or early August, you’ll wade through Indian paintbrush and alpine bluebells, particularly on Highland Mary Plateau. For the descent, detour north to Stony Pass and Stony Gulch. Start: Wolf Creek Pass is on US 160, 23 miles east of Pagosa Springs. End: Howardsville is 4.5 miles east of Silverton on CO 110. 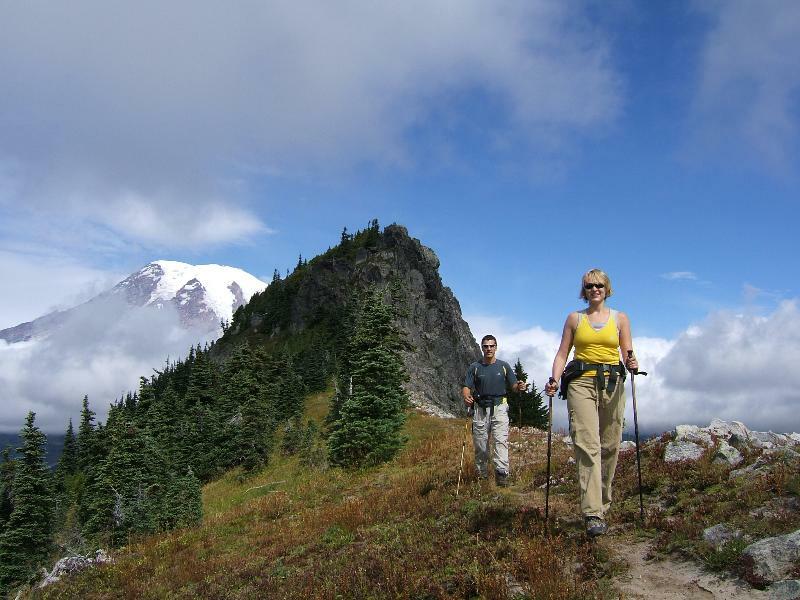 Tour glacial valleys and navigate to off-trail lakes and waterfalls on this six-day circuit.